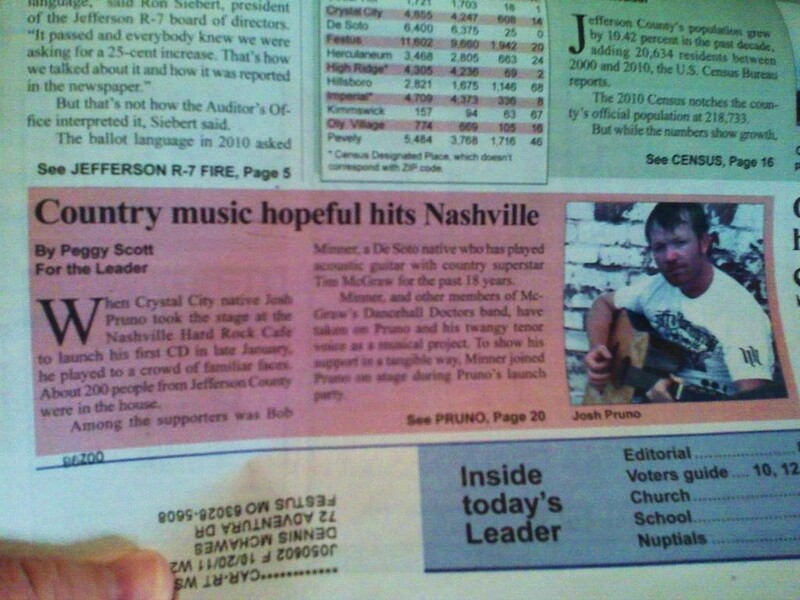 Another blog entry about Josh Pruno. 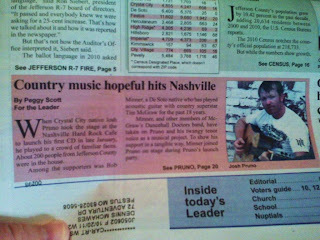 JP had a front page and interior 2 page article about his journey on the path to stardom in Nashville in today's paper. I know that I have written about Josh a few times now. I will be writing more. You can bank on the fact you will be seeing a lot more of him in the future. This is the picture of the day.